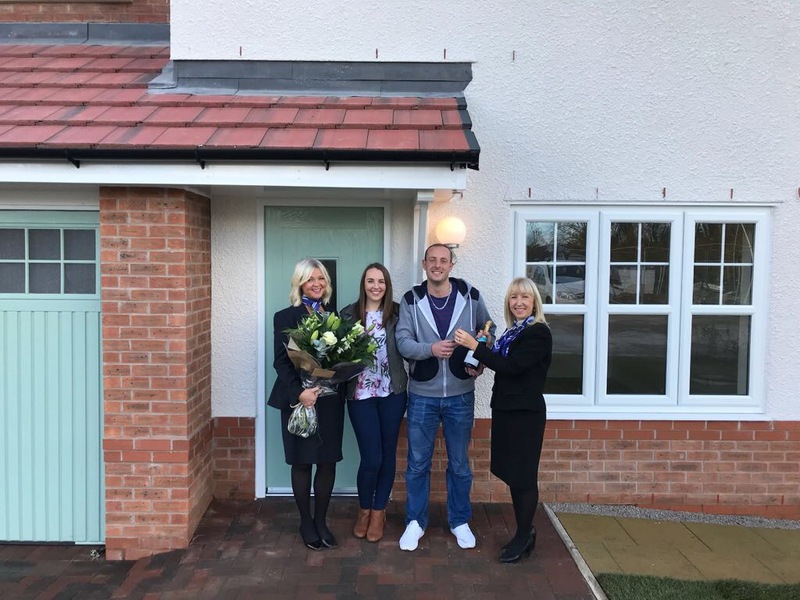 Erddig Place, a development of 79 homes on the former Brothers Industries site in Wrexham, has welcomed its first residents. Comprised of two-, three- and four-bedroom homes, the site had stood vacant for many years before Macbryde Homes was given planning permission to proceed with development in the summer of 2016. New resident James commented: “We were attracted by the quality and range of properties on offer by Macbryde Homes and it’s been really exciting to chart the progress of our home being built. Properties at Erddig Place include two- and three-bedroom townhouses and three- and four-bedroom detached properties. They include stylish kitchens with integrated appliances, open plan living areas, and a range of energy saving features. Help to Buy, the Government’s equity loan scheme, is available on all properties at the development. Pictured above, left to right: Trish Jones, New Homes Consultant at Erddig Place (Macbryde Homes), new residents Sarah & James, and Caryl Russell, Sales Manager at Macbryde Homes.